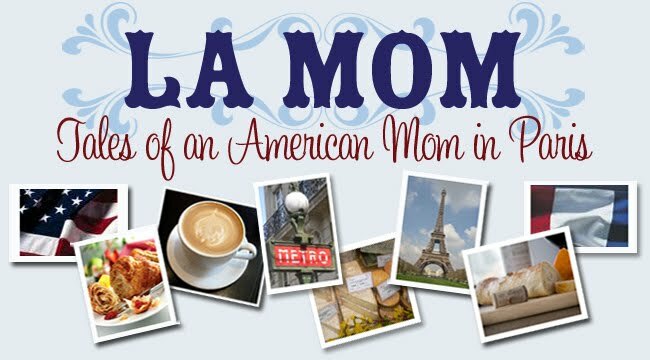 Merci to this adorable little chien for giving La Mom a fab photo opp. Delicious food + St. Emilion wine + baguette + an adorable dog = all the ingredients you need for a fabulous Frenchy Friday dinner. Perfecto...this little chien is too cute, xv. Wonderful catch! Very cute. :) Happy Friday and bon weekend to you. Even the dogs are well-coiffed in Paris! Check out that ponytail! what's for dinner? I'll be right over. adorable pooch. hope you didn't step in any of his "business" outside the restaurant. how is the fight for clean streets going? is sarkozy working on it? have a great weekend and take care. I want to move to Paris with my Shih Tzu. Unfortunately my Shih Tzu's French speaking skills are much better than mine. Sigh. that would be why I'VE always wanted to live in France! and no matter what the pooch will not disagree or critique. 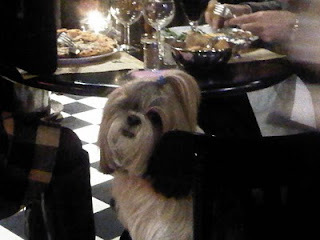 I loved this, of course a chien deserves to be at a French table!